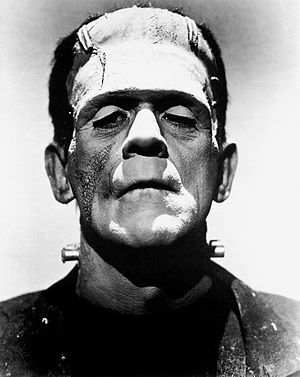 In fifth grade, the first day of October welcomed a new individual to my social studies class: A human-sized Frankenstein dummy. He sat in his desk, content to listen to each day’s lesson over and over again. His dead, white eyes followed you around the room. His green skin and stitches stood out among the geographical maps and graphics. It was Halloween, and my class was having a little party. My teacher, Mrs. Smith, came over to me and asked a question. “Sure,” I replied. Mrs. Smith often asked me to help out, and I was used to running little errands for her. In return, she would go to the Teacher’s Lounge before the end of the school week and get me a Tahitian Treat soda. When I entered Mrs. Kelly’s room, it was empty. Just me and Frankie. I walked up to him, grabbed the Halloween book he had been reading for an entire month, and turned to walk out. Suddenly, something grabbed my arm. I turned my head to find what no 9-year-old wants to see: Frankenstein holding my right forearm and staring into my soul with those big, dead eyes. After screaming like a third-grade girl, I ran out of the room, back into Mrs. Smith’s, and hid under my desk. My classmates found my behavior befuddling, but Mrs. Smith knew exactly what had happened. She and Mrs. Kelly (Frankenstein) had planned the whole thing, thinking I could easily handle the fright. Suffice to say, I could not. Since then, horror movies and haunted houses have left a sick feeling in the pit of my stomach. A word from the wise: Always be cautious of life-sized Halloween decorations. I’ve never liked scary movies. Why pay to be afraid? I can do that by just walking down the street in some neighborhoods for nothing. Wait a minute…was there someone in the Frankenstein costume all day?! That is terrifying! Or was it an animatronic Frankenstein? Either way, I would’ve had the same reaction as you!